Let’s get something straight right now: You are allowed to feel however you want about your abortion. You can be relieved, happy, sad or guilty. You can not know how you feel until much later or ever. You can regret it. You can feel none of these things or all of them — at once or at some point. Your abortion is your own experience, and no one gets to tell you how to feel. There’s a difference between having complicated and/or sad feelings about your abortion and abortion resulting in mental harm. Postabortion syndrome (also known as postabortion stress syndrome) is a “disorder” touted by the anti-abortion community in which they claim abortion results in irreparable damage to one’s mental health, resulting in depression, suicide and the desire to avoid children and pregnant people after having an abortion. Neither the American Psychological Association nor the American Psychiatric Association has granted credence to it. In 2017, Advancing New Standards in Reproductive Health released the Turnaway Study, a direct response to a 1988 call by former U.S. Surgeon General C. Everett Koop for a long-term study on abortion and mental health. The study concluded that abortion did not adversely affect people’s mental health, either at the time of the procedure or five years later. Being denied an abortion, however, did impact one’s mental health, resulting in low self-esteem, dissatisfaction with life in general and anxiety. In other words, there’s definitely a relationship between being unable to access abortion care and a lower quality of mental health. You might experience sadness, especially in a situation where you wanted to be pregnant but ultimately decided to have an abortion after finding out about a birth defect or other fetal anomaly, but Snyder stresses that these feelings aren’t induced by the abortion procedure itself. 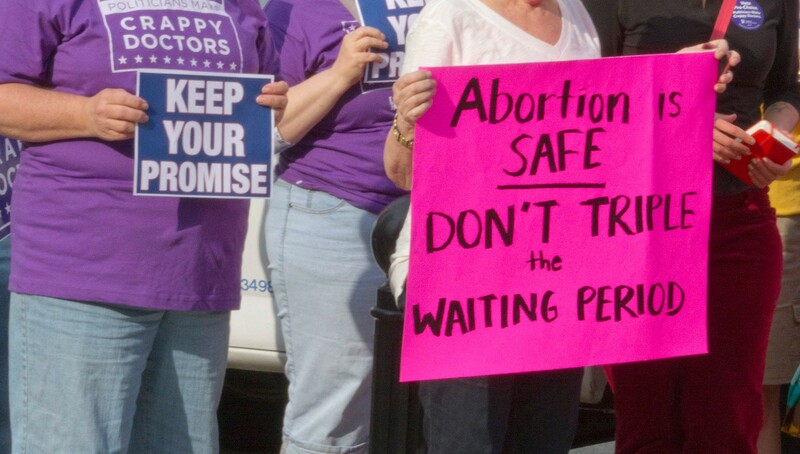 What did cause anxiety, she says, was the fear that she wouldn’t be able to actually connect with an abortion provider and the experiences she had being judged by the doctors she met. Abortion stigma, a set of ideas perpetuated about abortion being dirty, dangerous and immoral, among other things, impacts the way we feel about our abortions. It can be hard to separate the messages we’ve received about how we should feel when accessing abortion care (sad, traumatized, guilty) versus how we actually feel. The feeling of relief that many experience postabortion is seen as incompatible with the idea that people with vaginas should always welcome and anticipate pregnancy regardless of circumstances or whether or not they actually want to become parents. Here’s the bottom line — mental health is complicated, and there are many things in our lives that dictate how we’re experiencing the world and our own emotional landscapes at any given moment. Abortion is a medical procedure that everyone is entitled to be able to access safely and with dignity. How we feel about our abortion care is allowed to be complicated, but abortion doesn’t equal deleterious effects on our mental health — that’s a tactic used to make us feel ashamed and afraid of seeking health care. In actuality, there is no scientific evidence that abortion hurts our mental health, but plenty of evidence that abortion stigma and inhibiting access to abortion care will.